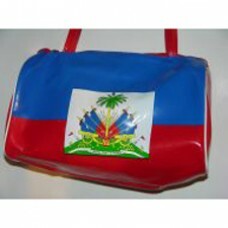 Show off the national pride of Haiti using this roll bag. This bag is made of vinyl material. It's ..
100% Cotton bandanas measures approximately 22 inches X 22 inches. Show your pride with these ready .. This sticker can be used for various applications. It sticks pretty much everywhere! Use on auto bum..
Our 3' X 5' (36 X 60 inches) flag is made of 100% polyester that is strong and durable. 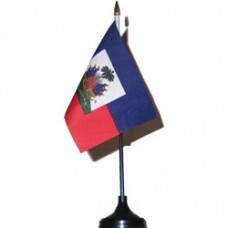 Great for bo..
Haiti small bumper sticker is 2 inches by 4 incles in size and great for all applications. Apply to .. This 4 x 6 inch desk or hand flag comes with a 10 inch black or gold stick with a gold or black spea.. Represent your country while using this handy key chain holder. It holds the keys to your home, offi..
Show off your own stuff. 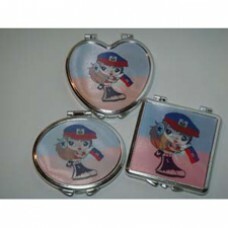 Use this Haiti compact mirror in your personal grooming. It has mirror on b.. Hanging these Boxing gloves from your rear-view mirror makes a great statement. 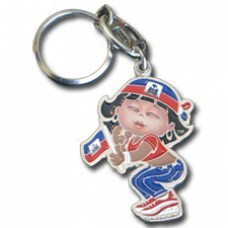 So go ahead, hang th..
Haiti Large girl key ring. Represent your country while using this handy key holder. It holds the ke.. While you're driving around going about your daily activities show your country's pride with this me.. This 100% Polyester flag is approximately 18 inches X 12 inches and comes attached to a 24 inch stic.. NOTE: THIS SIZE IS FOR CHILDREN ONLY!SALE SALE SALE Our Comfortable 100% cotton T-Shirts are long la..
Our Comfortable 100% cotton T-Shirts are long lasting and durable. They look and feel good and can b..